ever have a moment that’s like a déjà vu with smells? had one the other day in the office with the combined scents of pickles and peanut butter. aaaaand flashback to 1987. when i had uneven bangs and listened to huey lewis on tape. and rocked my barbies out to madonna’s like a virgin. not sure how or why it happened, but it did. my mom made me a peanut butter and pickle sandwich one day for lunch. i love both of these foods almost equally, and it does the sweet/sour/salty thing pretty darn well. 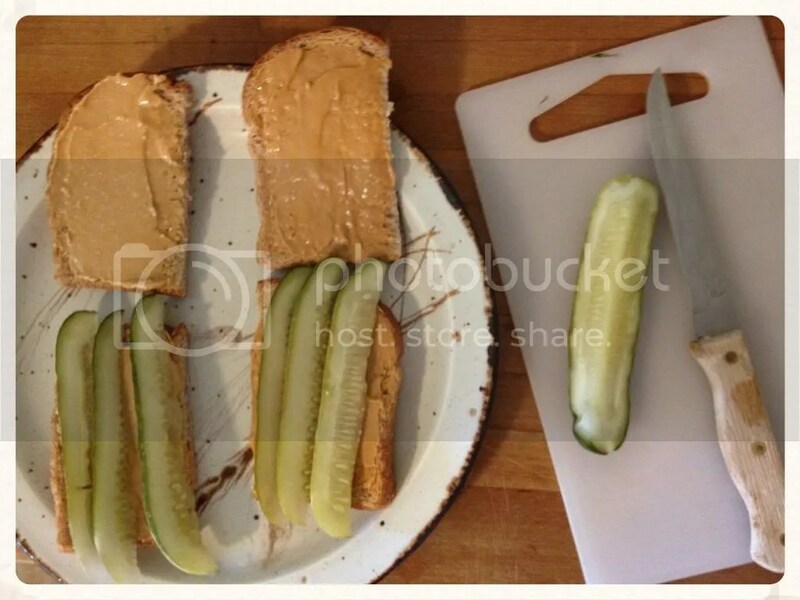 pb>pickles>pb+pickles. so much nostalgia came wafting through the office kitchenette at that moment that i had to have one again. but do i modernize my pb & p sandwich? does the pb need to be sweet? and you know how I feel about jiff amirite? and where did this thing even come from? is there an original recipe? i did what any normal person would do, and googled. i searched for the origin of the sandwich pretty much to no avail. the earlier half of the 1900’s. makes sense. the depression and all. i really enjoyed this article from the nytimes. i should put it out there that dill pickles are always my choice. i hate sweet pickles with a passion and not so much a fan of bread and butter either. grillo’s are my jam. my jam FOR LYFE. so much delicious garlic. 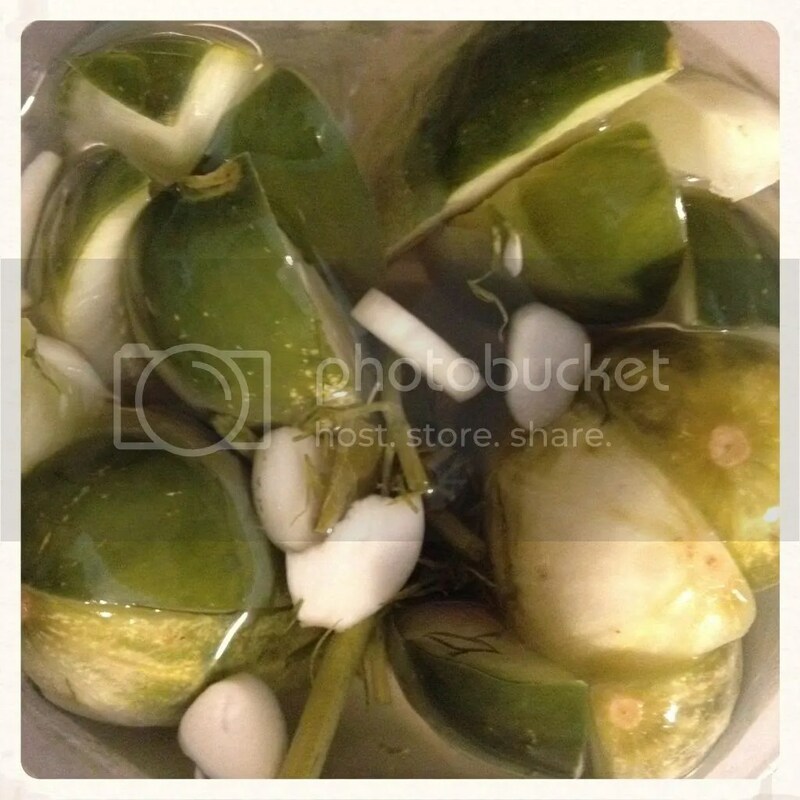 so much delicious brine. so many delicious picklebacks. get on it. i’ve picked my pickle. now what about peanut butter? i slathered jiff on one side of the sandwich and my homemade pb that i legit made that very day on the other side. jiff, it kills kills KILLS me to admit it, but you win this one. my natural pb lacks the sweetness that this sandwich needs when using dills. however, it may be a good pairing with sweets or bread and butter. just a thought, but i won’t be going there. it was a pretty wild ride biting into this thing. i wanted to make 5 more and have an eating contest all by myself. i also wanted to shove potato chips into it. next time. yes jiff, i will see you again. i don’t need to tell you how to make a sandwich, do i? 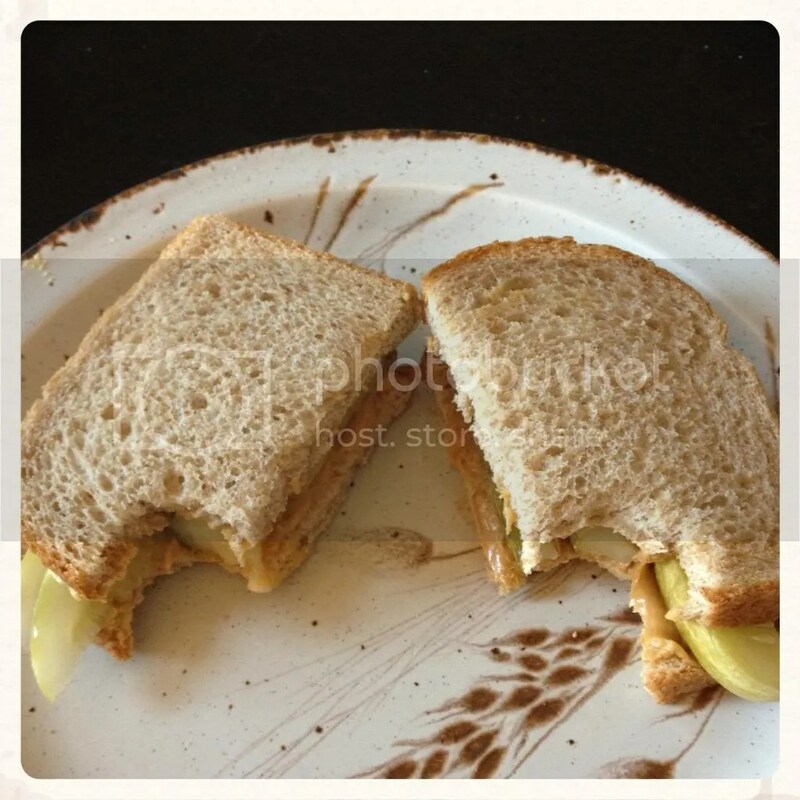 This entry was posted in recipe, vegetarian and tagged Peanut butter, pickles, salty, sandwich, sweets. Bookmark the permalink. Well now you’ve gone and done it. I want to try one. WANT. My favorite sandwich is peanut butter & bacon and I think this one will suit my flavor profile! ohhhh!! I’ll have to make one with bacon. the big question is, what kind of peanut butter do you use?! I love Teddie peanut butter. When it was out of stock last week, I ended up buying the Whole Foods 365 brand and it was fine (just not optimal).